This Bulman A500-30 30" standard roll paper cutter smoothly dispenses light or heavyweight kraft and other papers. 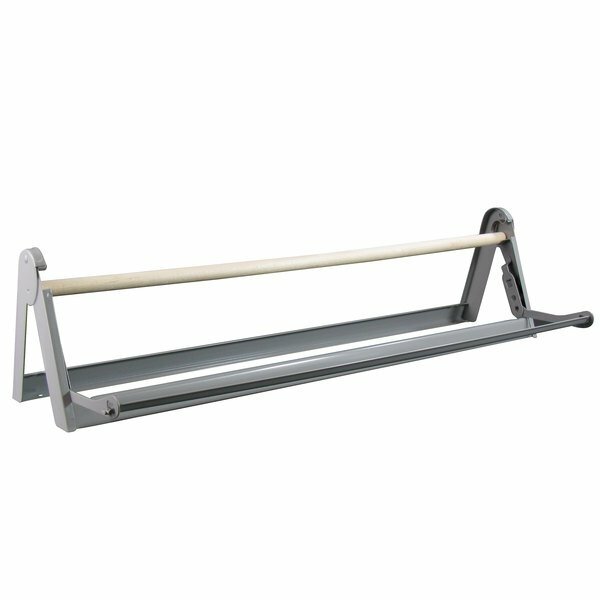 This paper cutter is made of metal with a light gray, powder-coat finish. It cuts evenly, using either side of the double-edged, spring-loaded blade. The rubber feet protect surfaces and it can be mounted on a wall, countertop, or under counter. 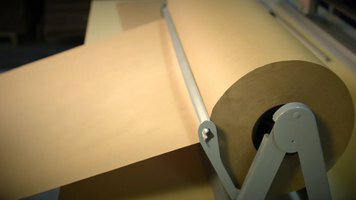 This paper cutter holds up to 9" diameter roll. We've been using this paper cutter for a few months now and it's holding up well. 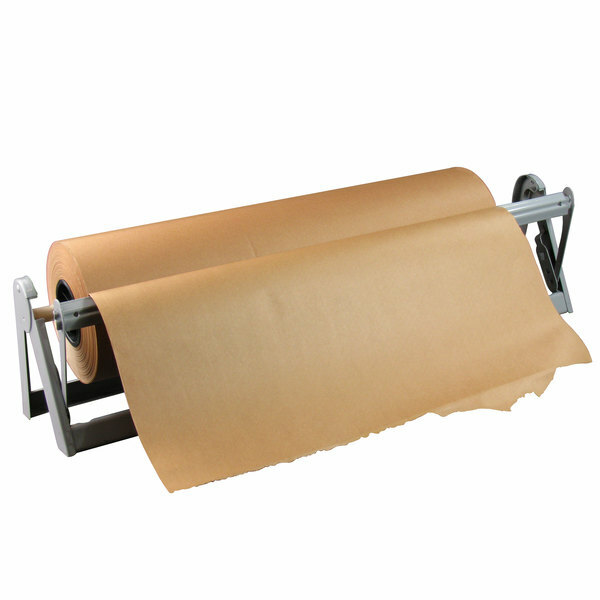 We have it wall mounted in our butcher shop and are currently using a 24" roll with it. It's sturdy and cuts freezer paper easily. Using a roll too much smaller will cause the wooden holder to bend. We use this with the 700' 40# rolls of butcher paper, and have it placed onto of the commercial fridge where we can reach up pull out a stretch and rip it off. 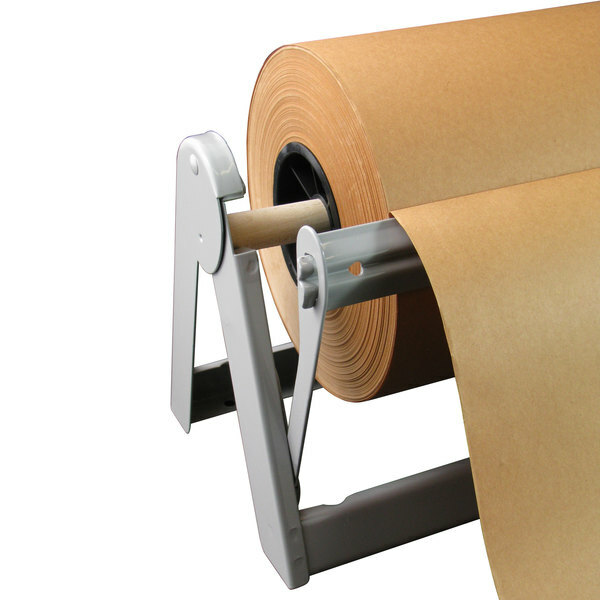 Works great and helps to organize and dispense the butcher paper we use for our work surfaces.